NEW DELHI: Homer seekers have reason to be happy with the budget speech of the finance Minister Piyush Goyal, said Dr. Niranjan Hiranandani is President (Nation), National Real Estate Development Council (NAREDCO). “For real estate in general and housing in particular, this is a positive budget speech. For the economy, it focuses on the farm sector and the middle class. I would rate it as “9 out of 10”, because the Minister has laid out the path to successfully work out a balancing act,” he said. “He has given tax breaks, enhanced benefits while not increasing taxes – and yet, has shown a roadmap that will keep fiscal deficit in control,” said Dr. Hiranandani. “NAREDCO had submitted a representation, with specific points that would benefit home seekers and the industry, it is satisfying that the representation was taken in the right spirit and we see some of those points reflected in the Minister’s Budget Speech. He also mentioned that there was an on-going effort to reduce GST burden on homebuyers; he spoke about formation of a Group of Ministers who are looking into this, as the effort was towards reducing the GST burden on homebuyers,” he added. “Among other points that the Minister mentioned, the first to my mind would be extending benefits under Section 80-IBA of the Income Tax Act for one more year. This will enable creation of more homes under affordable housing. This will be applicable to housing projects approved till 31st March, 2020,” said Dr. Hiranandani. “Secondly, with the aim of giving impetus to real estate, the Minister has proposed extending the period of exemption from levy of tax on notional rent, on unsold inventories, from one year to two years. 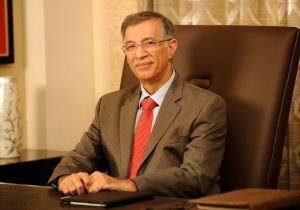 This will be applicable from the end of the year in which the project is completed, and this will ensure that the slow-down in creation of fresh stock as a result of the previous situation, wherein the exemption was only for one year, will be positively impacted,” added Dr. Hiranandani..
“For families which have more than one house – one in the home-town and the other in a location where family members work or have a job – currently, income tax on notional rent is payable in such cases i.e. if one has more than one self-occupied house. Considering the difficulty of the middle class having to maintain families at two locations on account of their job, children’s education, care of parents etc, the Minister mentioned a proposal to exempt levy of income tax on notional rent on a second self-occupied house,” he said. “The benefit of rollover of capital gains under section 54 of the Income Tax Act has been proposed to be increased from investment in one residential house to two residential house for a tax payer having capital gains up to Rs 2 crore. This benefit can be availed once in a life time. The Minister gave the example of Mumbai, wherein a family sells a house in South Mumbai and buys two houses in suburban Mumbai, and the benefit of this was availed only on one of the new homes. Describing this as something that is becoming a norm across urban centres in India, the Hon’ble Minister said this would help families in a similar situation,” said Dr. Hiranandani. “In my thought process, two things that could have also made it to this positive Budget speech – which were missing as regards the housing sector – granting of industry status to real estate as a sector, not restricting it only to the affordable segment; as also section 43-C of the Income Tax Act, wherein tax is levied when prices are reduced. Also, the NBFC deadlock and stressed asset problems could have been dealt with in terms of solutions in the Budget speech,” said Dr. Hiranandani. “The one paradigm change in real estate, the new regulatory regime under RERA came in for mention from the MInister. He said RERA has helped in bringing transparency in real estate sector, and I concur. The Hon’ble Minister mentioned in his budget speech that India is poised to become a $5 trillion economy in 5 years and aspires to become a $10 trillion economy in the next 8 years. This will obviously augur well for real estate and we look forward to positives in days to come,” he added.